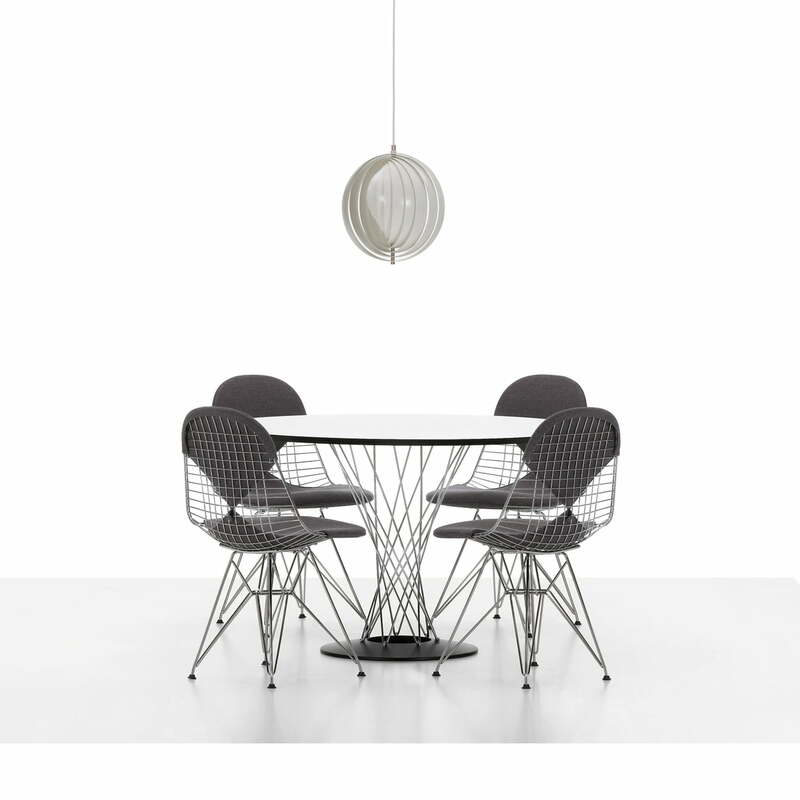 The Wire Chairs by Charles & Ray Eames are a variant of the Eams Plastic Side Chairs, regarding their shape. DKR with the legendary "Eiffel Tower Base" combines transparency and function. 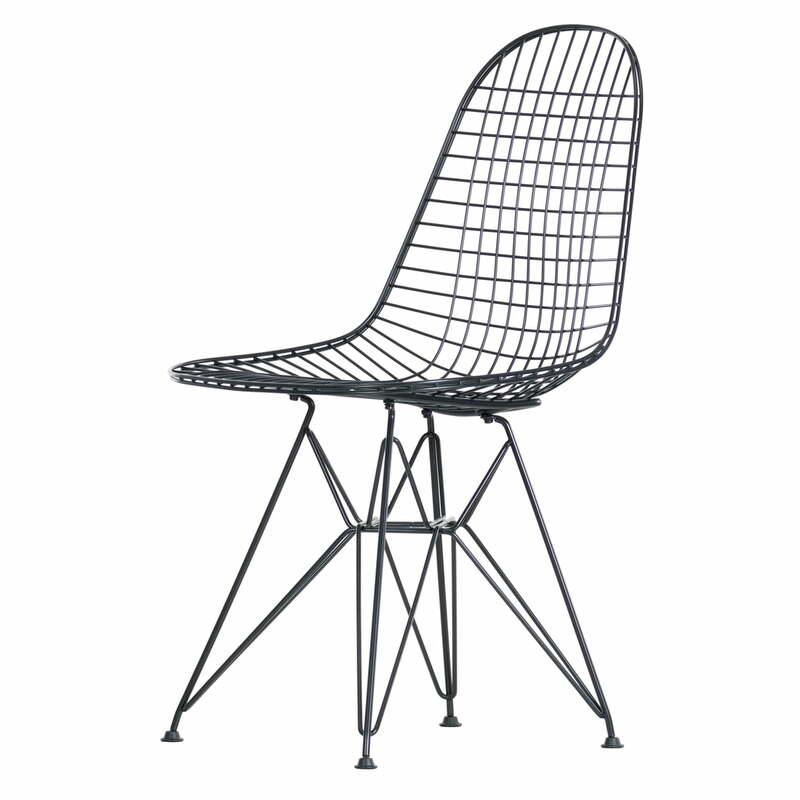 Coming as powder-coated variant, it can also be used in the garden or on the terrace. 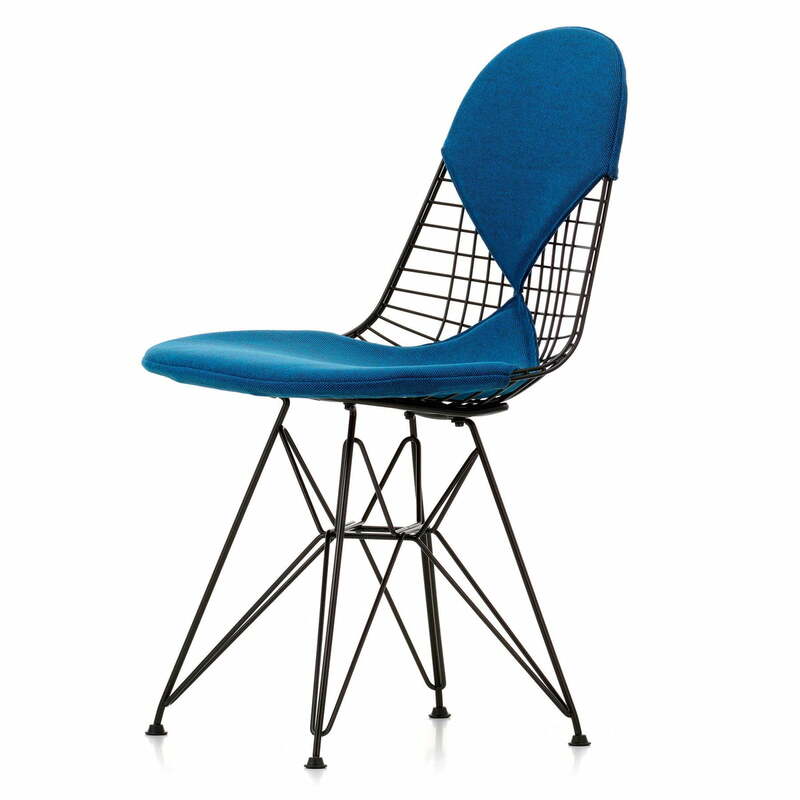 The Wire Chair DKR, presented in 1951, was inspired by the Plastic Chairs designed by Charles & Ray Eames one year before. Unlike those, the DKR (Dining Height, K-Wire Shell, R-Wire Base) isn't made of plastic, but of steel-wire. The shape remains the same – only the difference in material ensures a really independent look. 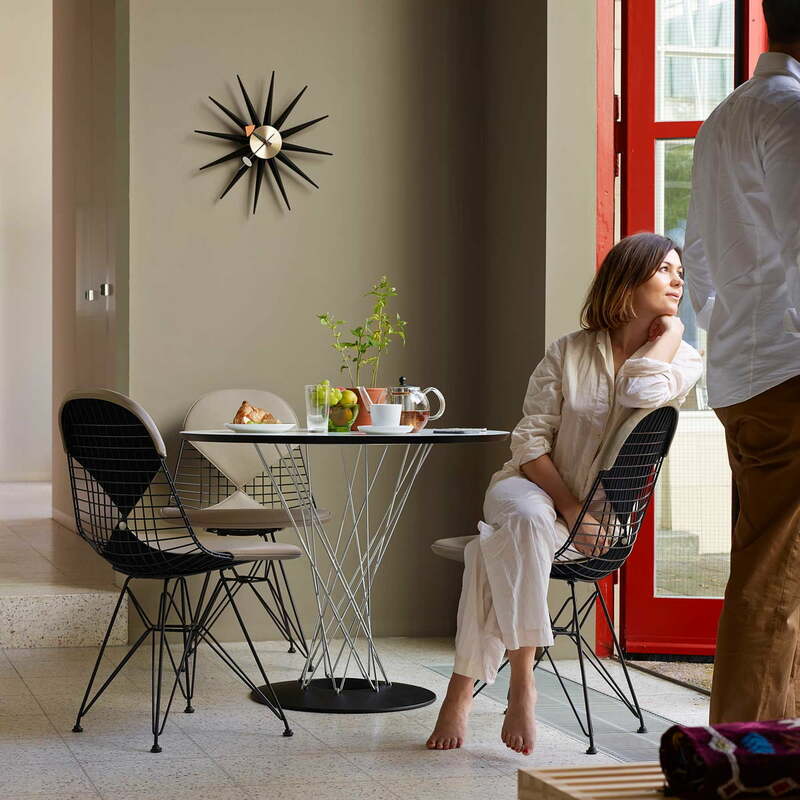 In 2016, Vitra revised the Wire chair and gave it an approx. 20 cm higher seat height, adapting the geometry accordingly. 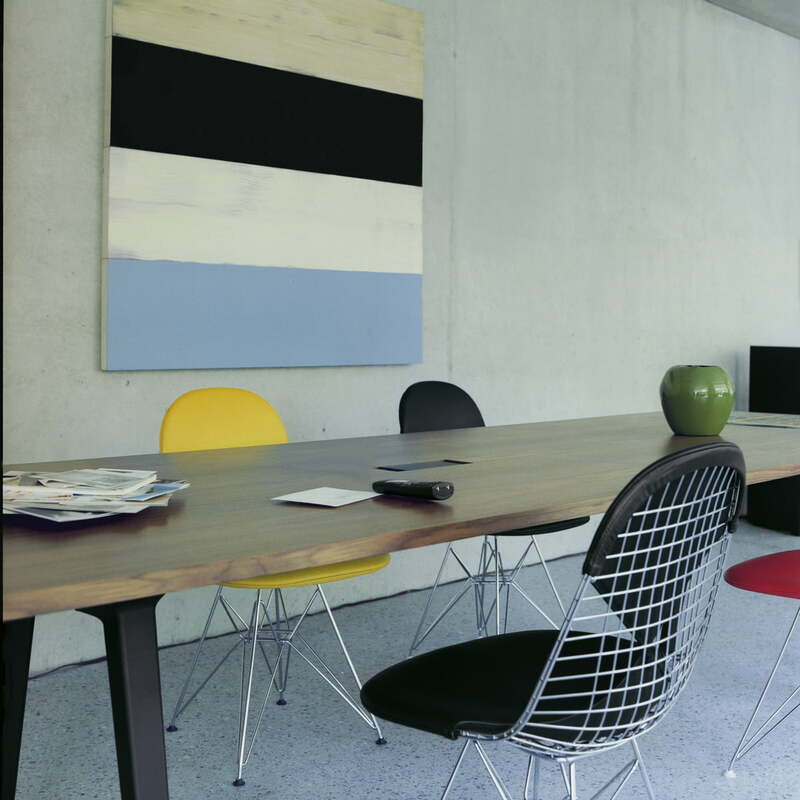 The aestetically hardly noticeable measures, improve the seating comfort in combination with modern table heights. 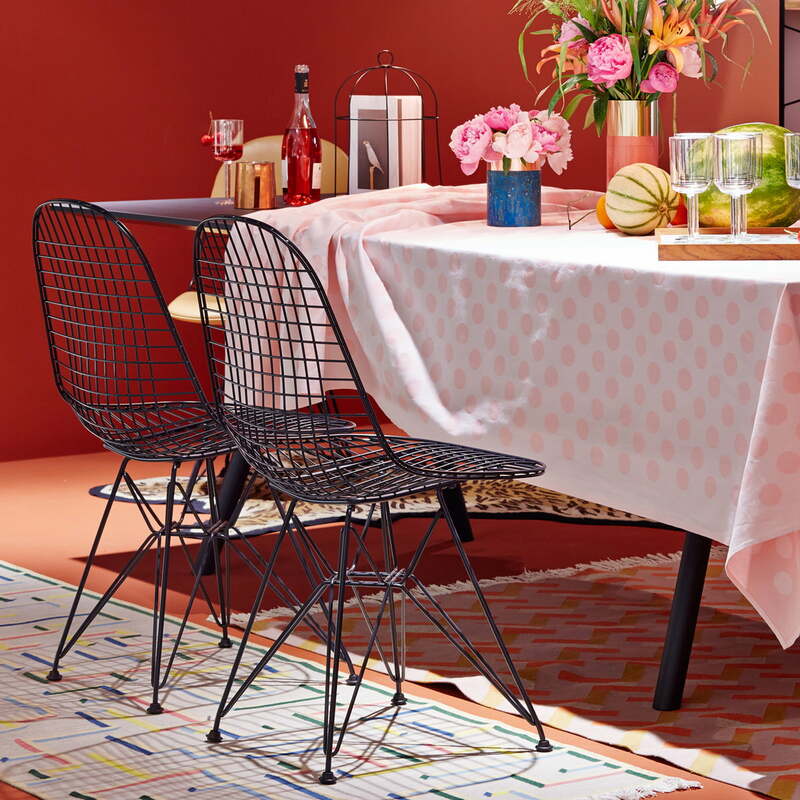 The seat shell made of spot-welded steel wire gives the Wire Chairs by Charles and Ray Eames a certain transparency and the wooden base of the DKW (Dining Chair K-Wire Wood Base) model creates a homely constrast to the basically technical look. 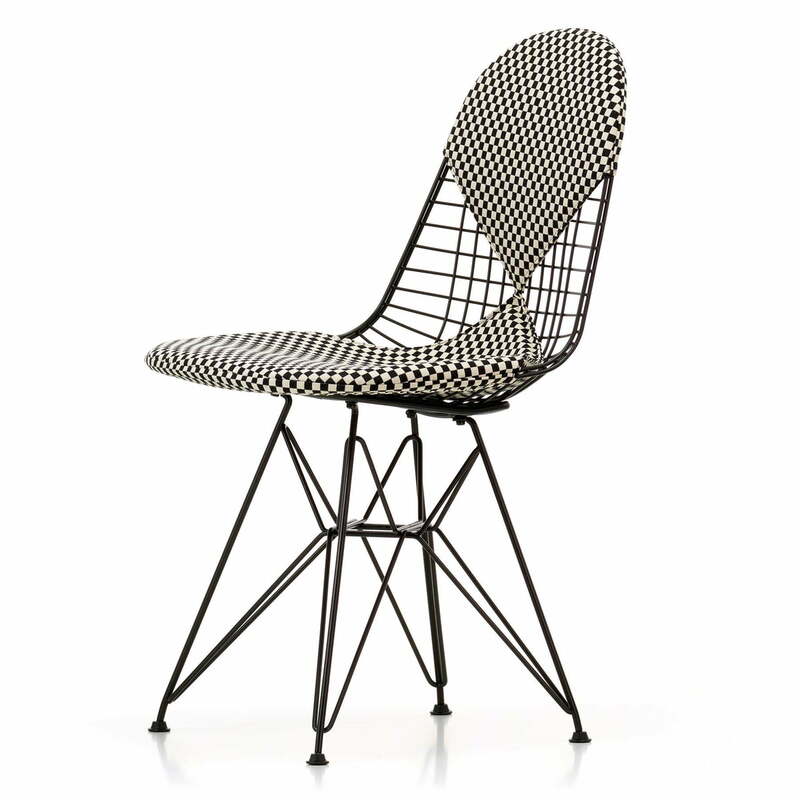 DKW is available with black powder-coated metal surfaces only, the chair's legs come in various kinds of maple wood.